// A for decades long forgotten personal diary, guarded by the Garrett Library of Parapsychology Foundation in New York, tells us the magnificent story of one of the key figures of the early international psychical research field. It was during the first half of the 20th century when the Spiritualist Movement in Greece flourished. 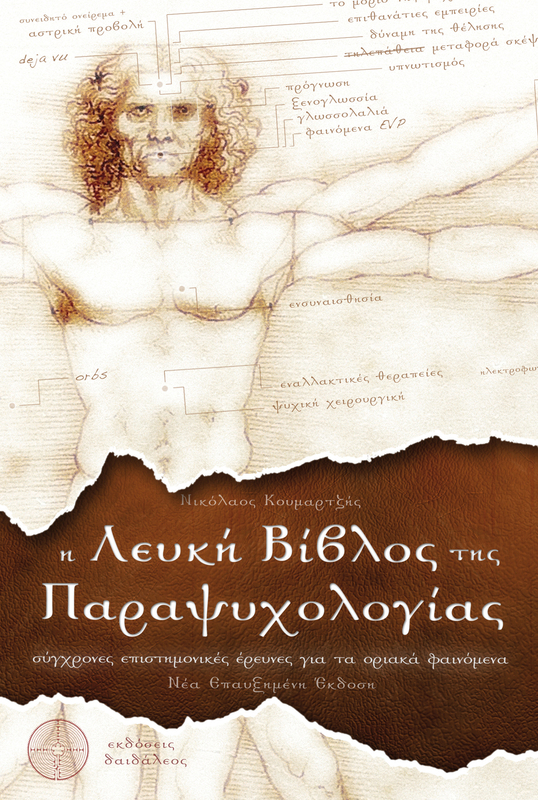 At the same time, the Greek Society for Psychical Research (Greek SPR) was founded, enriched its membership list with the social and scientific elite of Greece, and made important contributions to the worldwide psychical research community. 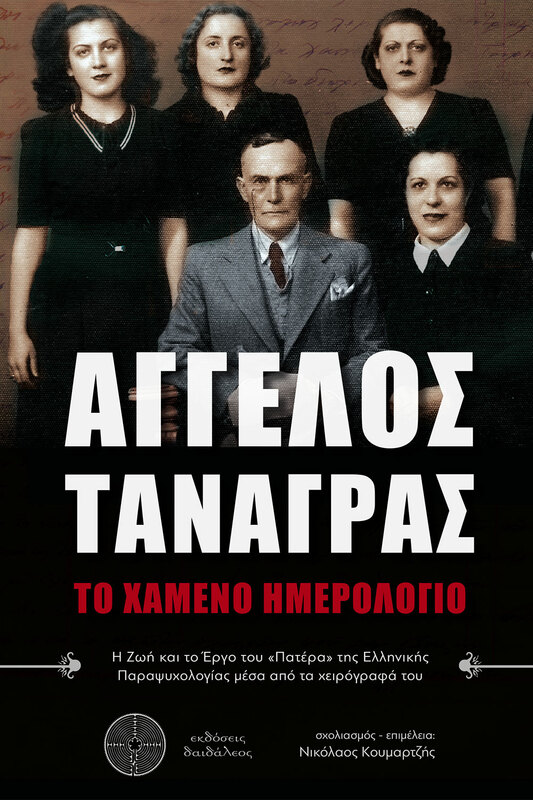 All of the above came true due, to no small extent, to the efforts of the admiral Dr. Angelos Tanagras, the «father» of Greek parapsychology, a leading and inspiring figure with a strong scientific and social background and a great interest for psychic experiences. In this special publication, prepared for the needs of the 60th Annual Convention of Parapsychological Association (July 2017), Nikolaos Koumartzis presents in brief the history of the Psychical Research field in Greece during the first half of the 20th century, while Dr. Tanagras recounts what had happened during the 4th International Conference for Psychical Research in Athens, in April 1930. 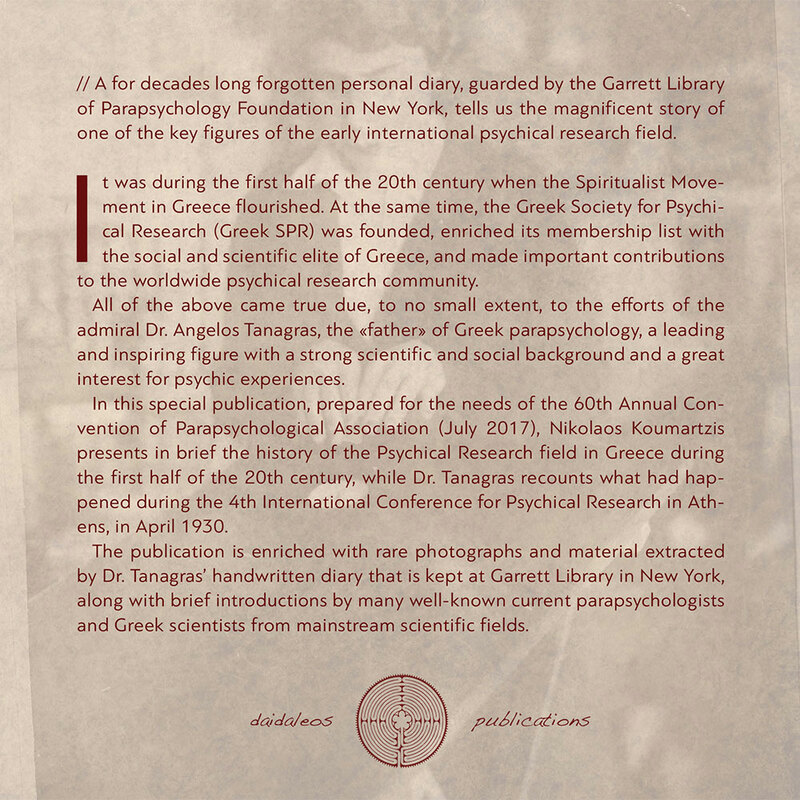 The publication is enriched with rare photographs and material extracted by Dr. Tanagras’ handwritten diary that is kept at Garrett Library in New York, along with brief introductions by many well-known current parapsychologists and Greek scientists from mainstream scientific fields. He has received scholarships in the past from Parapsychology Foundation, Aristotle University of Thessaloniki and International Hellenic University. 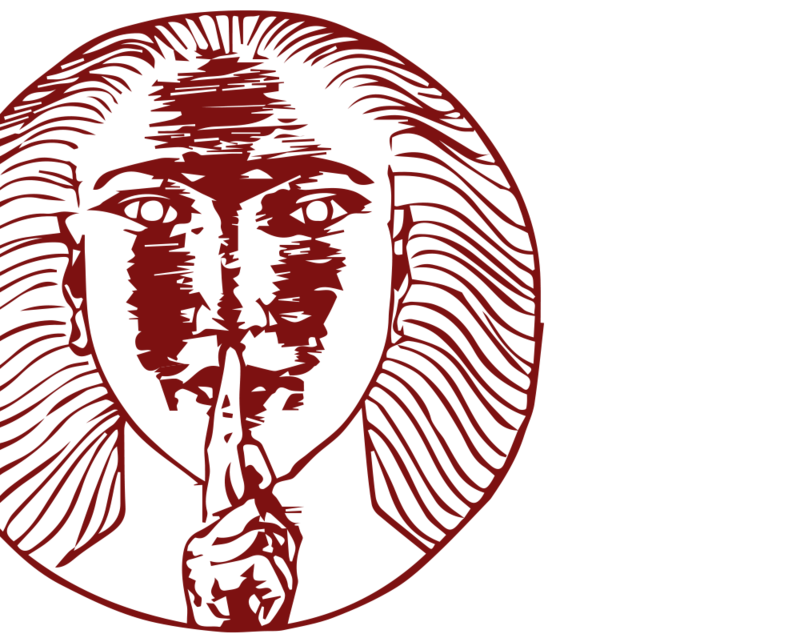 Currently, he holds the position of Art Director of the Parapsychological Association. 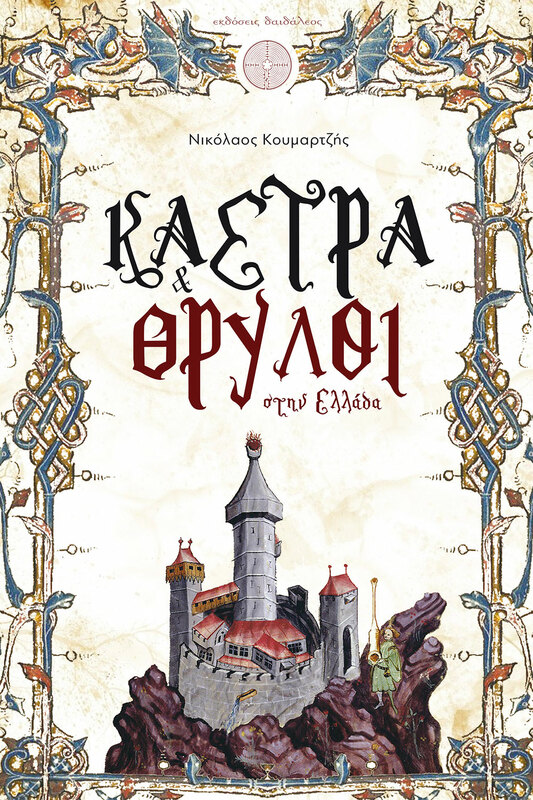 Regarding the scientific field of parapsychology he is the author of: Angelos Tanagras: The Lost Diary (Daidaleos Publications), The White Bible of Parapsychology (Daidaleos Publications) and Psychical Research in Greece (Dion Publications). In 2017, he will be the co-organizer and Arrangement Chair of the 60th Convention of Parapsychological Association in Athens. 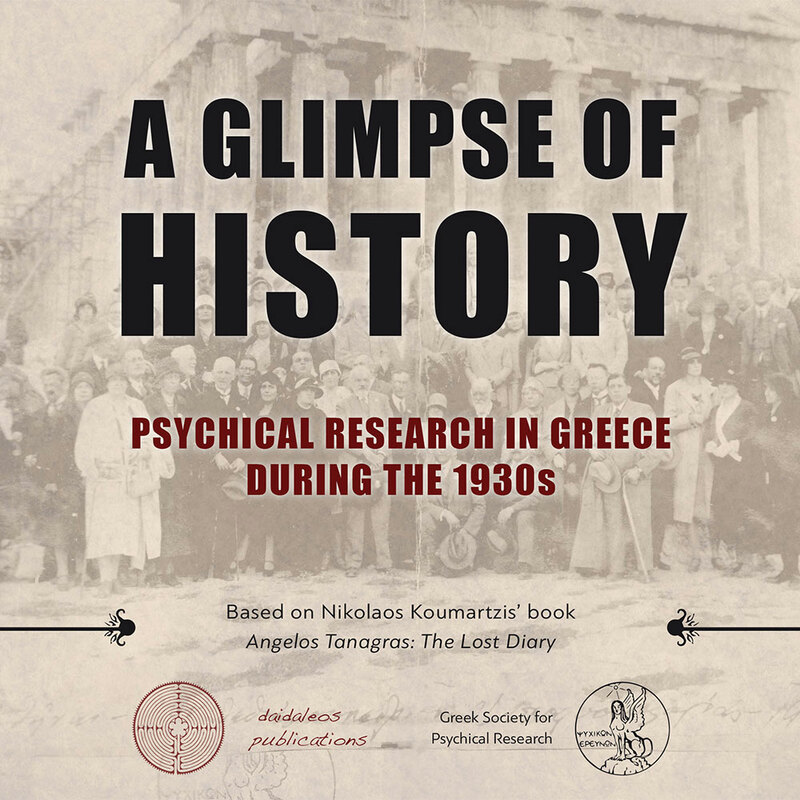 It takes place 87 years after the last related convention, the 4th Conference of Psychical Research in Greece (1930) which was organized by Dr. Angelos Tanagras himself.